On many cars there is a special alert system that informs the driver about the wear of brake pads and need to replace them. Most modern electronic systems are. They warn about erasing pads with warning light installed in the cabin. However, not all drivers are so lucky. Many cars are sound sensors (on the pads) which are attached to the base pads of the steel strip. When the pad wears to the maximum allowable limit, a metal strip on it starts to come into contact with the brake disc, making the braking time shrill and unpleasant sound. 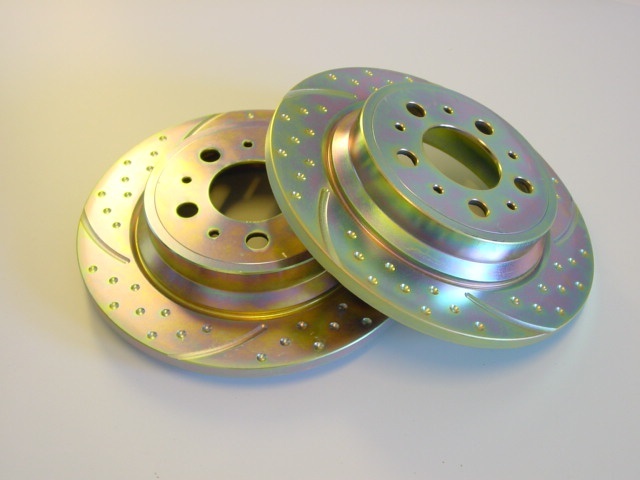 If the critical wear, pad wear will signal the metallic noise that would appear at each brake application. In this case, to delay the replacement pads is strongly not recommended, otherwise brake discs will be increased wear. So, in order to replace the pads with your hands, you'll need a Jack, and a standard set of tools. Remove the wheel using a large screwdriver to spread them apart brake pads. Brake piston will occupy its original position. Now you need to Unscrew the bolt the brake caliper to the guide bushings. Next loosen the two bolts on the caliper to it with a bracket can be rotated on the guide pin and take a side. Now remove the old pads, replace them with new. Don't forget before installing the new pad to lay under them graphite-containing lubricant. Next refit the damper tin strip. Return to the brake bracket, install the bolt and mount the wheel. Now do the same with the other wheel. Replacing the brake pads, bleed brakes. To do this, click a few times on the brake pedal that will remove the gap between the brake caliper piston, brake disk and pads. However, if you are in the forces are not sure at 100%, better contact a professional service center. There you and quickly and efficiently replace the pads. After all, the quality of installation of brake pads and their condition depends on the quality of braking and quality of braking depends on your safety on the road.